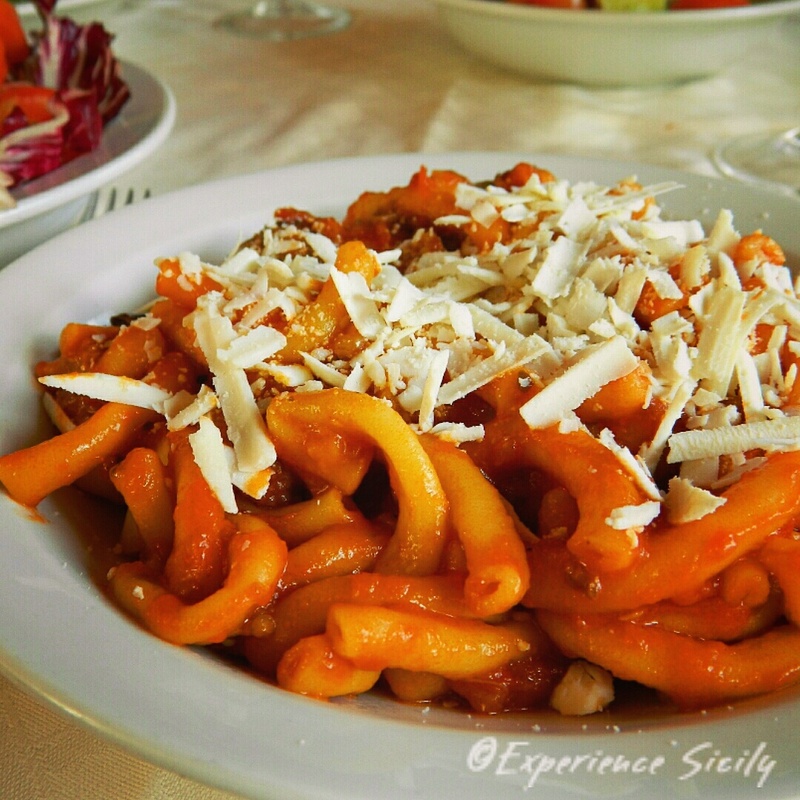 Maccheroncini alla Norma (Maccheroni pasta, in this case, bucatini, with tomato sauce, eggplant, and grated ricotta salata cheese on top) is a classic Sicilian recipe. There are many theories about why it’s named “alla Norma,” the most convincing being that the name pays homage to Vincenzo Bellini’s opera, Norma. Bellini (1801-1835) was born in Catania, and is one of Sicily’s favorite sons. Then, there is also a theory that it was originally known as pasta “normale,” or normal pasta… And eventually became Norma as a play on words. Such folk history is never cut and dried like our teachers taught us it was in school! This is one of my favorites! I’m a vegetarian and I love that when I eat this I feel like I’ve had a primo and secondo! It’s true! It’s so satisfying!